Taneesha Brown's Body Found In Frozen Pond In Markham, Ont. Ta-Neesha Brown had been missing since Jan. 12. The search for a Markham, Ont. woman who went missing for nearly two weeks ended Saturday. York Regional Police confirmed a body found was that of Taneesha Brown, 25, who was last seen Jan. 12. Police said Brown was found in a frozen pond near Highway 48 and Edward Jeffreys Avenue, near Bur Oak Secondary School, according to several outlets. Police believe Brown was in the pond as a result of her own actions, and there were no signs of trauma on her body, according to Global News. They also believe Brown had been in the pondsince the night she disappeared, Sgt. Rob Bentham told CBC News. “I don’t think any parent should ever have to go through this with their child." "This search has been going on for so long now. We are just glad this has been resolved for the family," he said. Brown left her aunt's home Jan. 12, when she told family members she was going out for some fresh air. Police believe she was last seen near Bur Oak Secondary School, where they say she spoke briefly to a man who later relayed the conversation to authorities, according to CTV News. The man had remarked on the fact Brown was not dressed for the cold weather, according to CP24. She told him she was "starting on a journey," before walking away. Tristan Mazerolle, Brown's brother, told CP24 his mother was in shock. “I don’t think any parent should ever have to go through this with their child,” he said. “I’m just relieved I have an answer, I’m filled with sadness and I just can’t believe that this happened." Kim Mazerolle, Brown's mother, posted the news on Facebook. Brown's father, Uriel Brown, told the Toronto Sun his daughter struggled with mental illness, and "just took off" the night she disappeared. He said he introduced his daughter to Islam as an alternative to medication to treat her bipolar disorder and schizophrenia, which only worsened. 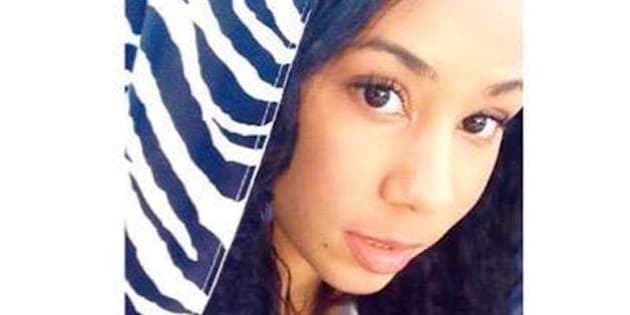 Ta-Neesha was wearing a traditional Muslim outfit consisting of a white, knee-length dashiki, white pants and a white hijab when she went missing, according to the Sun.